Augustus (31 July 1526 –11 February 1586) was Elector of Saxony from 1553 to 1586. Henry IV the Pious, Duke of Saxony was a Duke of Saxony from the House of Wettin. Succeeding George, Duke of Saxony, a fervent Catholic who sought to extinguish Lutheranism by any means possible, Henry established the Lutheran church as the state religion in his domains. Ferdinand I was Holy Roman Emperor from 1558, king of Bohemia and Hungary from 1526, and king of Croatia from 1527 until his death in 1564. Before his accession, he ruled the Austrian hereditary lands of the Habsburgs in the name of his elder brother, Charles V, Holy Roman Emperor. Also, he often served as Charles' representative in Germany and developed useful relationships with German princes. The Bishopric of Merseburg was an episcopal see on the eastern border of the medieval Duchy of Saxony with its centre in Merseburg, where Merseburg Cathedral was constructed. The see was founded in 967 by Emperor Otto I at the same time in the same manner as those of Meissen and Zeitz, all suffragan dioceses of the Archbishopric of Magdeburg as part of a plan to bind the adjacent Slavic ("Wendish") lands in the Saxon Eastern March beyond the Saale River more closely to the Holy Roman Empire. Torgau is a town on the banks of the Elbe in northwestern Saxony, Germany. It is the capital of the district Nordsachsen. Anne of Denmark was a Danish princess from the House of Oldenburg. Through her marriage with Augustus of Saxony she became Electress of Saxony. She was renowned for her knowledge of plants and her skill in the preparation of herbal remedies, and contributed to the development of farming and horticulture in Saxony. She was a major influence in the introduction of orthodox Lutheranism and played a role in the decision to persecute Calvinists. Saxony, officially the Free State of Saxony, is a landlocked federal state of Germany, bordering the federal states of Brandenburg, Saxony Anhalt, Thuringia, and Bavaria, as well as the countries of Poland and the Czech Republic. Its capital is Dresden, and its largest city is Leipzig. On 1 October 1585 the Electress Anna died. Three months later, on 3 January 1586, in the city of Dessau, Augustus married secondly with Agnes Hedwig, a daughter of Joachim Ernest, Prince of Anhalt. The bride was only 13 years; the groom, almost 60. August died one month after his new marriage, and was buried at Freiberg Cathedral. 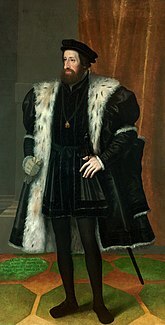 His only surviving son, Christian I, was his successor. George the Bearded, Duke of Saxony, was Duke of Saxony from 1500 to 1539 known for his opposition to the Reformation. While the Ernestine line embraced Lutheranism, the Albertines were reluctant to do so. Despite George's efforts to avoid a succession by a Lutheran upon his death in 1539, he could not prevent it from happening. Under the Act of Settlement of 1499, Lutheran Henry IV became the new duke. Upon his accession, Henry introduced Lutheranism as a state religion in the Albertine lands of Saxony. The Capitulation of Wittenberg was a treaty in 1547 by which John Frederick I, Elector of Saxony, was compelled to resign the electoral dignity. The Electorate of Saxony and most of his territory, including Wittenberg, passed from the elder, Ernestine line to the cadet branch, the Albertine line of the House of Wettin. John George I was Elector of Saxony from 1611 to 1656. John Casimir, Count Palatine of Simmern was a German prince and a younger son of Frederick III, Elector Palatine. A firm Calvinist, he was a leader of mercenary troops in the religious wars of the time, including the Dutch Revolt. From 1583–1592 he acted as regent for his nephew, Elector Palatine Frederick IV. Nikolaus Krell, chancellor of the elector of Saxony, was born at Leipzig, and educated at the university of his native town. The Electorate of Saxony was a state of the Holy Roman Empire established when Emperor Charles IV raised the Ascanian duchy of Saxe-Wittenberg to the status of an Electorate by the Golden Bull of 1356. Upon the extinction of the House of Ascania, it was feoffed to the Margraves of Meissen from the Wettin dynasty in 1423, who moved the ducal residence up the river Elbe to Dresden. After the Empire's dissolution in 1806, the Wettin Electors raised Saxony to a territorially reduced kingdom. Christian I of Saxony was Elector of Saxony from 1586 to 1591. He belonged to the Albertine line of the House of Wettin. Friedrich Wilhelm I was a duke of Saxe-Weimar. He was the eldest son of Johann Wilhelm, Duke of Saxe-Weimar and Dorothea Susanne of Simmern. Johann Ernst of Saxe-Eisenach, was a duke of Saxe-Eisenach and later of Saxe-Coburg. Magdalene Sibylle of Prussia was an Electress of Saxony as the spouse of John George I, Elector of Saxony. Sophie of Brandenburg was Electress of Saxony by marriage to Christian I, Elector of Saxony. She was regent from 1591 to 1601 during the minority of their son Christian II. Johann, known as Johann the Steadfast or Johann the Constant, was Elector of Saxony from 1525 until 1532 from the House of Wettin. The Duchy of Saxe-Merseburg was a duchy of the Holy Roman Empire, with Merseburg as its capital. It existed from 1656/57 to 1738 and was owned by an Albertine secundogeniture of the Saxon House of Wettin. Elisabeth of Saxony was a Saxon princess from the House of Wettin by birth and by marriage Countess Palatine of Simmern. The “Grumbach Feud”, in 1567, was a rather bizarre episode in the history of the Ernestine side of the House of Wettin, which led to life imprisonment for Elector John Frederick II “the Middle”, the Duke of Saxe-Coburg-Eisenach. 1 2 Chisholm 1911, p. 914. ↑ Chisholm 1911, pp. 914-915. 1 2 3 4 5 6 7 8 9 Chisholm 1911, p. 915. ↑ MacGregor, Neil. "Episode 76, Mechanical Galleon". A History of the World in 100 Objects . BBC. Retrieved 20 September 2010. Böttcher, Hans-Joachim (2018). Elisabeth von Sachsen und Johann Kasimir von der Pfalz: Ein Ehe- und Religionskonflikt[Elisabeth of Saxony and John Casimir of the Palatinate: A Marital and Religious Conflict] (in German). Dresden: Dresdner Buchverlag. ISBN 9783946906063. Wikimedia Commons has media related to Augustus I, Elector of Saxony . Friedrich Wilhelm Bautz (1975). "August, Kurfürst von Sachsen". In Bautz, Friedrich Wilhelm. Biographisch-Bibliographisches Kirchenlexikon (BBKL) (in German). 1. Hamm: Bautz. col. 268. ISBN 3-88309-013-1.